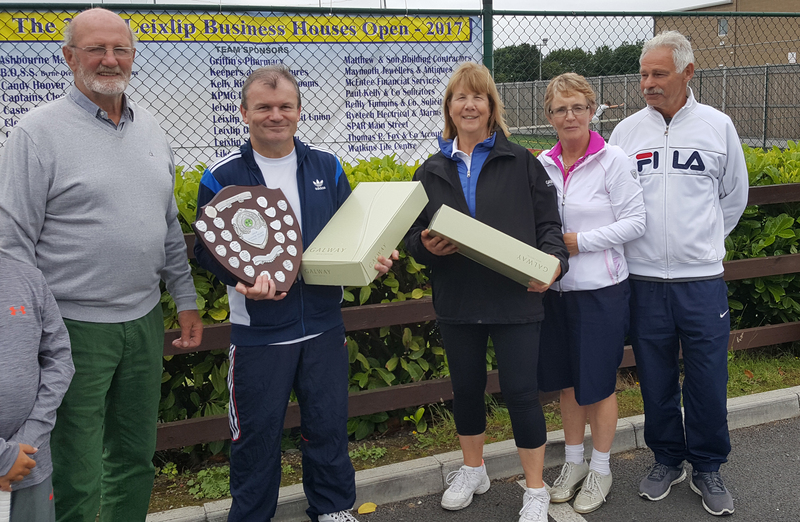 Leixlip Tennis Club's 22nd Annual Business Houses' Tournament - a precursor to "that one " starting at London SW19! -concluded on Saturday 1 July with some enthralling and close encounters on the courts. 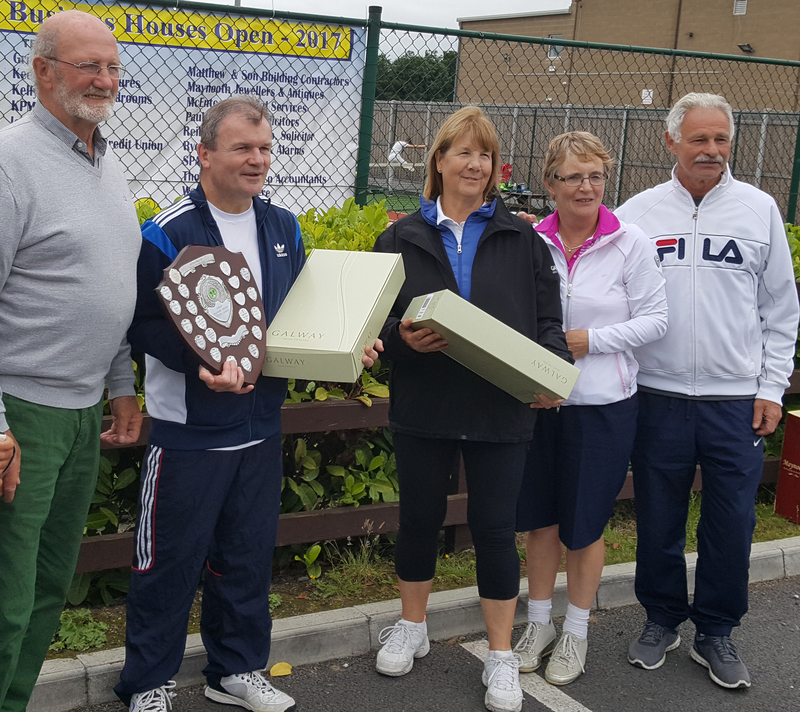 Local Businesses generously sponsored 32 teams to compete in the event and almost 70 club players responded with a good standard of performance and the final outcome was on a knife edge up to the last match. The presentation of prizes was made 1pm Saturday 1 July at the Clubhouse. Sean Kavanagh, the club Developement Officer,acknowledged Paddy Lennon for his work in organizing the tournament. Paddy thanked, particularly all the Business' Houses for their continued sponsorship and he expressed his thanks to all the players and subs for their committment and support. He thanked Sean Kavanagh and Margaret Houlihan for their help in the promotion and running the tournament. Paddy, Sean and Margaret presented the prizes. Paddy congratulated the winning team of Naomi O'Reilly/Martin Dwyer (GMC UTILITIES GROUP) 27pts. and the runner-up team of Mary McCarthy/Denis White (CAPTAINS CLEANERS) 25pts.